A history of trade, from the ancient world to the modern. 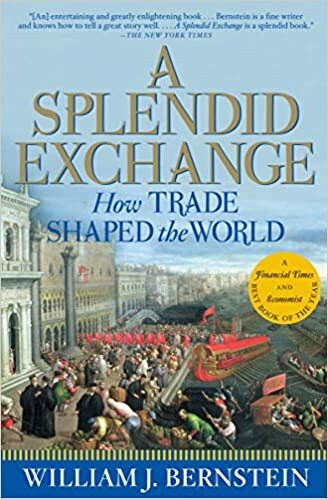 Covers the Middle Ages, when trade was most active in Asia; the European conquest and expansion starting in the 1500s; and the modern debate over free trade vs. protectionism. I learned many interesting things from this book, but I found it far too detailed in many parts. The story could and should have been told more concisely. Recommended only for the dedicated student. A few fascinating topics for me: how remote, isolated, and tiny the original Spice Islands were; the dominance of the Islamic world over trade in the Middle Ages; the brutality of the early Portuguese expansion, and other insights into the origins of colonialism; and the story of the Corn Laws in Britain (which were actually about grain import tariffs) as one of the early major free trade debates.